Short on space but need the ability to lift vehicles for your garage services? Two post vehicle lifts offer powerful lifting with a low footprint wasting little space in your garage and allowing more working room. 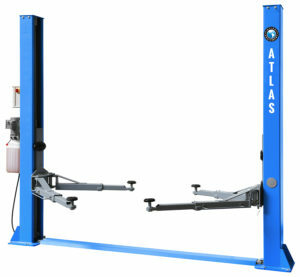 Our two post car lift equipment from American Automotive giants Atlas demonstrates this brilliantly with powerful lifting capacity, innovative safety features and all at an affordable price tag! The two post lift is a stable of any busy workshop. You need to trust that day in, day out you 2 post lift will continue to function with speed whilst handling any vehicle you need to throw on it. Investing in incredible 2 posts just got easier with Atlas Equipment. 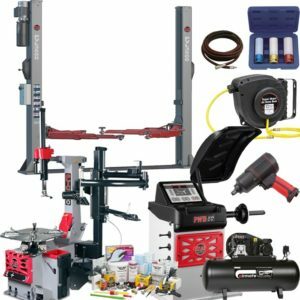 One of the biggest advantages to two post car lifts is their wallet-friendly price tag when compared to more substantial 4 post lifts that might be overkill in your garage. 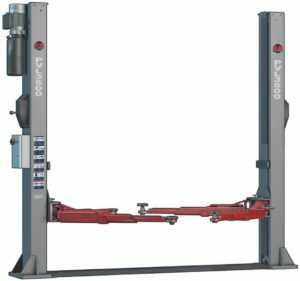 This does not mean a compromise of lifting ability though, as these two post lifts will continue to provide full access to all 4 wheels and allow you to work easily on vehicles from any angle whilst taking up significantly less room in your garage. Call our dedicated sales team today on 01527 883 580 to discuss our range of two post lifts in more detail with our expert team.